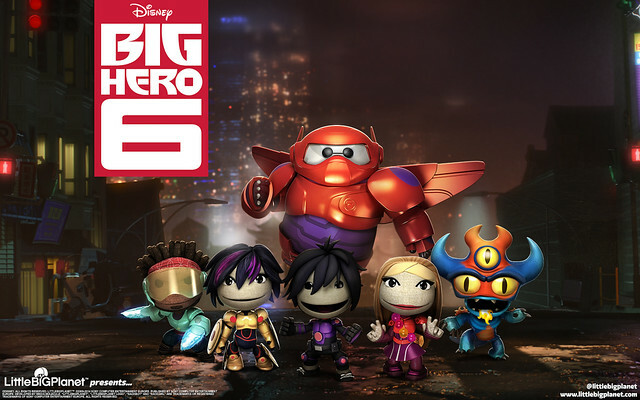 LittleBigPlanet is always in need of heroes to help save the day and this week Sackboy joins forces with Disney’s Big Hero 6, the latest and greatest superhero team that have banded together to protect everyone from danger and peril! The new Big Hero 6 Costume Pack comes with all the super-suits that you will need to become the Big Hero 6. There’s always a new adventure to be had in the LittleBigPlanet community levels and this pack will ensure you have just the right outfit for the job! 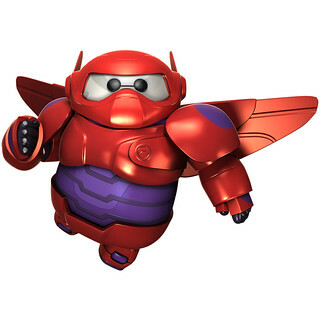 Each of the Sackfolk Big Hero 6 character costumes can be purchased individually or you can purchase the complete Disney’s Big Hero Costume Pack along with an additional Baymax Costume for Toggle that is an exclusive bonus costume within the complete costume pack. Chase the mischievous Newton across this Jurassic world filled to the brim with dinosaur fossils, rolling boulders and sticky, sticky mud pits! Newton is a skilled runner though and you’re going to need use a brand new Drill Power-up to clear obstacles out of your way and continue the chase! It’s become somewhat of a tradition for NuclearFish to release a new Clockwork level at the launch of a new LittleBigPlanet title and LittleBigPlanet 3 is no different with his release of Clockworx 3. Jump into this almighty clock tower and see how long you can survive before your time runs out. Many a Sackboy and Sackgirl will remember the classic Gardens theme from the original LittleBigPlanet game and many of you have now discovered that we included an extra-special collaboration with the brilliant Smooth McGroove performing his own a-cappella version of this classic LittleBigPlanet theme. 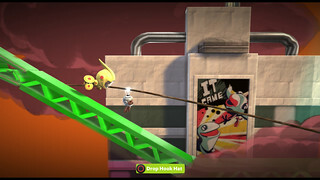 This track is hidden somewhere within LittleBigPlanet 3’s Adventure to add to your Popit and use in your very own levels, it’s totally interactive too so you can choose which of Smooth’s wonderfully melodic tones can be heard as players travel across your level. Good luck finding it! 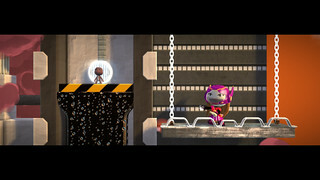 We look forward to hearing it more across LittleBigPlanet! Why isn’t anyone complaining that they took DIVE IN away? PLEASE ADD DIVE IN BACK! I want to be able to make new friends on LBP 3. Thank you for annoucing these costumes. Big Hero 6 is one of my favourite animated movies, favourite character were HIro, Baymax and Tadashi. And dont rush on fixing the game its still perfect like all of the LBP series :) I WISH LBP WAS REAL!!! Troll. If LBP was real I’d pop your bubble head. LoadingBePatient 3 is NOT perfect and DO rush to fix it. Not a week should go by without SOME PATCH. It’s been, what, 3 weeks now? Shouldn’t we ALL have to do our jobs? You guys really need fix this game. It’s upsetting everyone. You should fix the game first before adding DLC. Because DLC is broken. And people are spending there money on costumes and not getting. You guys are doing the wrong thing. Also fix the matchmaking issue. Can’t even join my friends. 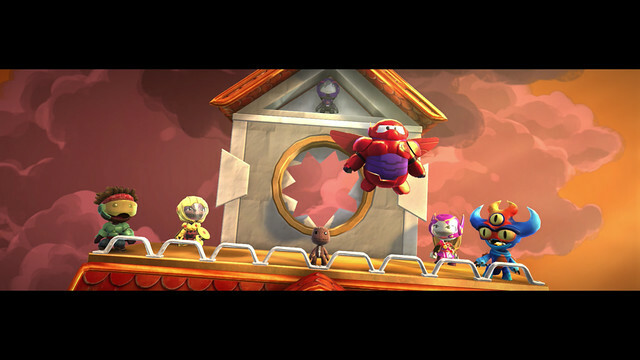 So, has anyone been able to download the Big Hero 6 content for LBP3 for the PS3? It seems that PSN has it set up that if you buy the content for the PS3 they have actually sold you the content for the PS4. So, instead of fixing the glitch, they just tell me that they are going to refund me the money and that I can buy it again in 3 to 5 days after I have waited for our refund to come back!!!!!! What is to guarantee me that if I download it a second time that it will work then??? There is no guarantee! And for that matter, there is no guarantee that if I buy anything from Sony that it will work the way is was intended to work. So much for the honor of the Samurai! Thanks for the customer no service. I’m going to go play that “other” companies console! Is there anything I am missing for me to get him or no?